You could have a beautiful apartment, but still – when you walk through Vinohrady, you always start wishing you lived in one of the streets around Náměstí Míru… or opened an office here… or a small bar. Or … it really does not matter what exactly. You will simply long to have a reason to come back again and again and enjoy the local atmosphere characterizing the place since its origin. Housing construction, which began at the end of the 19th century, was primarily initiated by the upper class – hence the array of Art Nouveau buildings with splendid exteriors and interiors, well-kept front-gardens, courtyards and sidewalks. And Vinohrady continues to flourish. Ranking among the top residential districts, it attracts all city people from students to seniors. It bears all signs of a good address: there are green areas, quiet places, nice views, amenities and many transport options. Good restaurants, cafés and bars are at every corner. 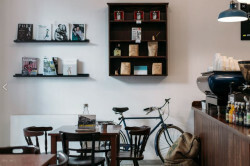 Make sure to visit the Belgian Bruxx restaurant and try a coffee in Monolok or Pražírna Café. However, Prague 2 is not restricted to I.P. Pavlova only. 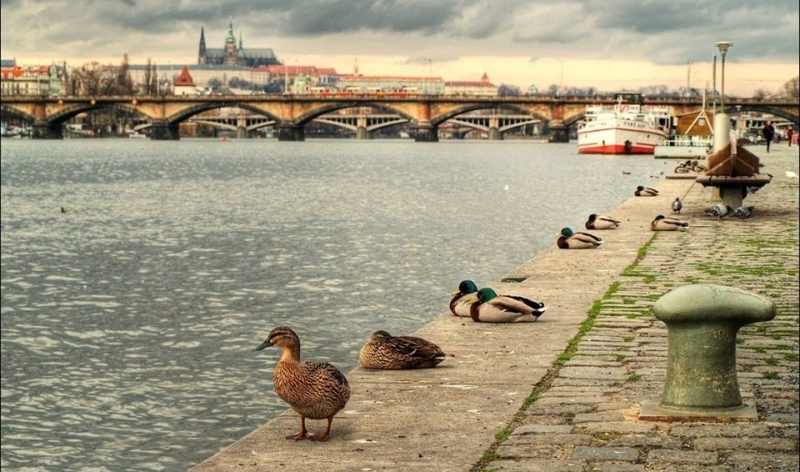 Its boundary stretches as far as the Vltava riverbank, comprising the area also known as New Town. The district was founded by Charles IV as a grand project. Its precise urban planning gave rise to wide boulevards, squares, stone and brick houses. 19th and 20th century reconstructions changed the outline to some degree but on closer inspection, you will reveal that the original medieval design is still present. The list of things you shouldn´t miss is quite long but the sites stand fairly close to each other, the landmarks being the Charles Square, Emauzy, Dancing House and Vyšehrad. You can go for a nice walk along the riverbank, visit the famous Náplavka which often hosts various cultural events and markets. Not far away are also the renowned wine bar „Na břehu Rhony“ and amazing cafés such as Terapie or I Need Coffee. If you found an apartment in this area of Prague, do not hesitate – all you need will be at your fingertips.